Dowsing has ancient roots, with 'water witching' (divining water through the use of a dowsing rod or wand made of a wooden stick) being practiced widely during the time of Chinese Emperor Ta Yu in 2205 BC, himself an expert dowser. It is likely the practice has its origins even further back in time. Today, dowsing is used to locate not only water but minerals and even oil, and a dowser will typically use metal rods or a forked hazel twig. 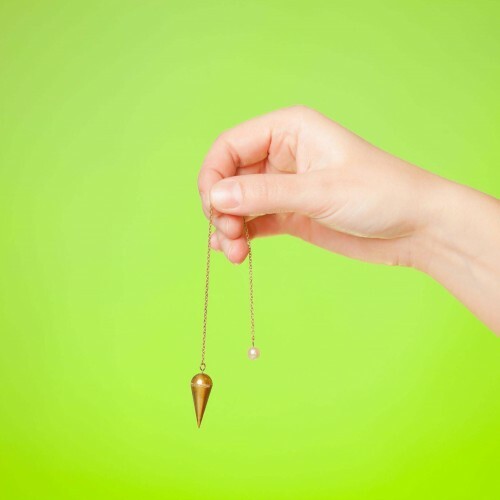 Pendulum dowsing, in which a small object such as a crystal or piece of turned metal hung by a thread from the hand is used for divining, answers to yes/no questions and can be used for anything from health to locating lost objects on a map.